Properties in Hatfield and Stainforth Station average 4.2 out of 5 stars. Three bedrooms near Bawtry, South Yorkshire. 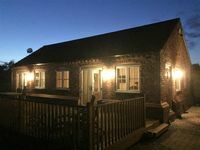 Property 5: Three bedrooms near Bawtry, South Yorkshire. Rural 2 bedroom, 2 bathroom, chalet bungalow in adult only Park with hot tub. 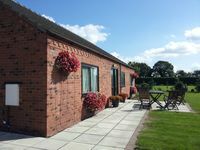 Property 12: Rural 2 bedroom, 2 bathroom, chalet bungalow in adult only Park with hot tub. Clean, tidy cottage. Wonderful Hospitality. cottage was exactly what I was looking for. Stayed two weeks. The location was Central to everywhere I was planning to visit. I really don&rsquo;t have any complaints. Friendly staff, lots of space, well equipped. Laundry facilities and dishwasher were a bonus.